Atalanta vs Chievo predictions ahead of this Serie A clash on Sunday. Can the league’s bottom side pick up a victory on their travels? Read on for our match preview and free betting tips. After back to back victories, Atalanta continue to push for the top four in Serie A. Their 2-1 victory at Sampdoria last weekend kept them in the hunt, now they’re aiming to secure a routine win over Chievo. The league’s bottom side come here with little hope of staying in the top flight. They’ve fallen 12 points shy of 17th, while they are making one of the toughest trips that they have remaining this term. The Gialloblu have won just once all season, now they take their terrible away record into this visit to la Dea. Atalanta are within sixth points of fourth, as they look to record a shock Champions League finish. The hosts have really kicked on a gear in the last few months, which has fueled hope of them making it into the top four. They come here having seen another poor display from fourth-placed Inter Milan on Thursday night, so they’re bound to see the Nerazzurri as catchable in their remaining 11 matches. The main thing for Atalanta is to keep on winning, something which they’re easily expected to achieve this weekend. Chievo come here with eight defeats in 13 matches on their travels. They’ve yet to win an away match this season, while they have an awful record against sides in the top half. The Gialloblu have lost four of their last five league matches, with little sign of fight coming from a side who have looked out of their depth all season. The visitors were hammered 3-0 in their last trip – a visit to Torino, known for their defensive style of play. It’s bound to be a concern that Sunday brings a clash with one of the league’s most adventurous sides. 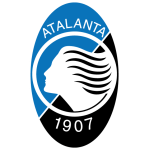 Atalanta have the second highest goal tally this season, averaging 1.85 per home game. They’ve recently put three past Fiorentina here, while they’ve won four of their last six Serie A games. They’ve racked up 25 goals across their last 10 matches in the league, while their last clash with Chievo saw them secure a 5-1 away win during their slow start to the campaign. Atalanta have obviously been backed in as heavy favourites ahead of this clash, which is well deserved. They should cruise to a win over a side who have conceded 27 times in 13 trips, failing to score in seven of them. The Gialloblu have lost to nil in four of their last five trips, while they should struggle against one of the most prolific defences in the country. We’re going with Atalanta with a -1 Handicap, as we see them winning by at least two goals. Chievo have lost by two or more in 75% of their away defeats, while nine of Atalanta’s 14 league wins have come by a margin of two goals or more. Chievo have won the fewest points (2) and conceded the most goals (18) in Serie A in 2019. 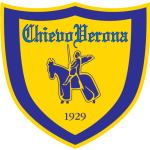 Since the three points for win era, only Ancona have won one or fewer games (0 in 2003/04) than Chievo (1) have after 27 Serie A matches. Atalanta have scored the most goals with their defenders in the current Serie A campaign: 17, only three fewer than Chievo netted in total in the current Serie A. Two of the seven defenders to have scored at least two goals and provided at least two assists in this Serie A campaign are playing for Atalanta: Robin Gosens (3 goals, 2 assists) and Hans Hateboer (4 goals, 4 assists). Chievo are Alejandro Gomez’s favorite target in Serie A: netting five goals in his last four games. Mariusz Stepinski has scored four of Chievo’s last six away goals in Serie A – the Polish striker has netted 64% of his league goals on the road (7/11).